Some areas of the Lembah Bujang Historical Complex will be closed until further notice for maintenance work. This closure does not affect the Bujang Valley Archaeological Museum. The Star features the archaeological museum at Bujang Valley, an hour’s drive away from the popular tourist destination of Penang. The article has a questionable reference of the Bujang Valley being once known as Nusantara – the term ‘Nusantara’ is actually a term to refer to the entire Malay world (from modern Malaysia, Indonesia to Southern Philippines, or in some cases just Indonesia). For more detailed information about Bujang Valley, check out the SEAArch special reports here and here. Last week, I featured the reconstructed temples (‘candi’) that populate Kedah’s Bujang Valley in Malaysia, an area rich in archaeological finds dating as far back as the 5th century. 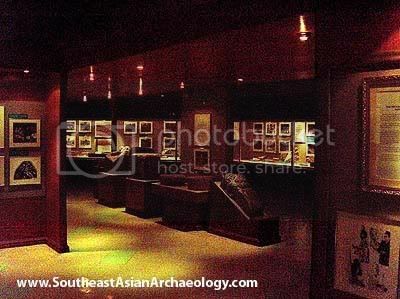 Today, we’ll explore the Bujang Valley Archaeological Museum, which sits at the entrance of the archaeological park. To be honest, I was a little apprehensive about visiting the museum. 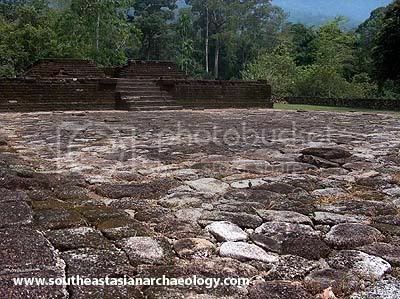 I had heard reports that due to the growing influence of Islam in the country, the Bujang Valley Archaeological Archaeological Museum was somewhat muted in mentioning that the port settlement that once resided in Bujang Valley was Buddhist and Hindu (see comments to this post). Fortunately, I can gladly say that there was no such attempt to gloss the past, and the museum was very frank to point out the ancient Buddhist and Hindu influences on the civilisation that once flourished here.